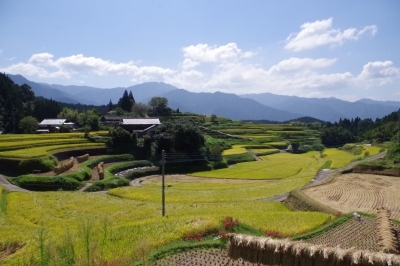 In Kozaki area, there are beautiful terraced rice fields divided with the stone walls from Muromachi Period. In early summer the mountains are reflected on the rice fields, and in autumn you can see beautiful sceneries of golden ears of rice and red spider lilies, what is called an archetypal image of Japan. 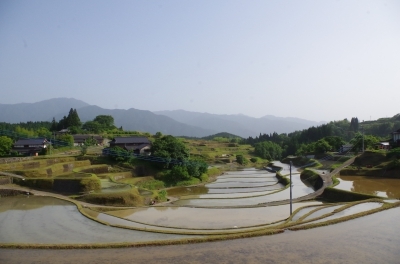 These terraced rice fields with stone walls are popular among local people with the name "Machu Picchu of Misato Town."